After thwarting a disaster in the nation's capital, Mark Taylor captures the attention of the CIA. They want to know more about the mysterious camera and Mark's abilities, but Mark doesn't trust the agency - he would be crazy to after all they've put him through in the past. He finally agrees to demonstrate the camera when Jim convinces him that the CIA can put together a team to help prevent future catastrophes. Too late, Mark discovers that he should have listened to his gut instincts when he finds himself held in the bowels of DC against his will while agents of the CIA, intent upon learning the secrets of his psychic abilities, use him as a test subject. 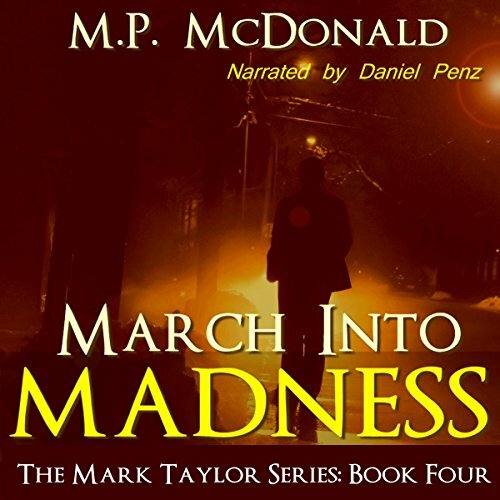 Another great book in the Mark Taylor series!!! It was as action packed book. Now I'm sad because I finished it so fast and have to wait until the next one comes out!